In August, Mediterranean-style dishes, laced with olive oil and Mediterranean-style veggies, are ideal for any kitchen table. Aubergine, juicy tomatoes, courgette and artichoke are all ideal for featuring in your main dish. When it comes to the meat, opt for lamb – the perfect complement to the Mediterranean dish and a great choice for summer. Other meats and seafood you might like to consider include pigeon, quail, cod, crab and lobster. All equally delicious and suitable for any fine feast! Of course, a side salad doesn’t go amiss either. Cos lettuce, spinach, potatoes and radishes are all in season and taste great when enhanced with some summer herbs. When it coms to your desserts, fruit is still the way to go. Ripe blackberries and plums help to create the most delicious pies, while other berries, like strawberries and raspberries are perfect for those pavlovas and cream teas. These light and tasty tarts are the perfect finger food for your summer soiree. With yummy flavours coming from ingredients such as the Taleggio cheese, red onion chutney and parsley, these little bites sure pack a lot of punch. 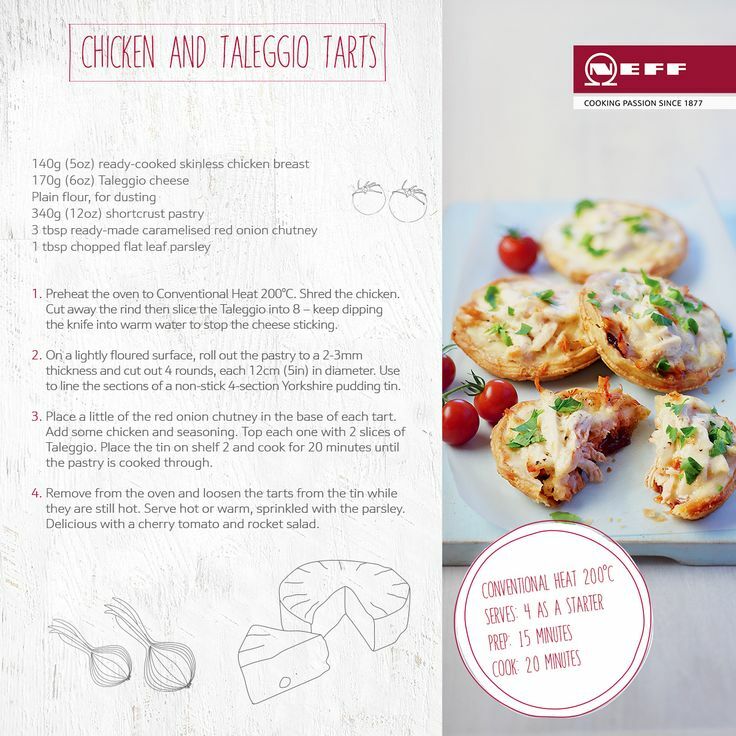 With just 15 minutes prep time and 20 minutes cook time in your Neff Oven, they’re quick to make too! Enjoy a taste of Morocco with these finger-licking treats, featuring one of this season’s best meats – lamb. 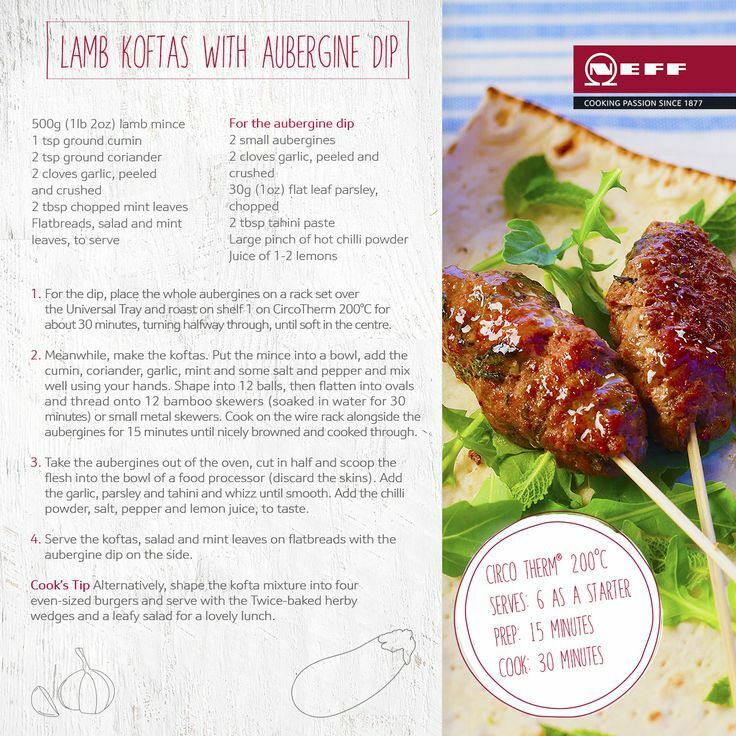 Cook in your Neff Circo Therm and serve with a light salad for a great snack, enjoyed by all. Everyone loves a little something sweet to snack on, and this dish is a real treat! 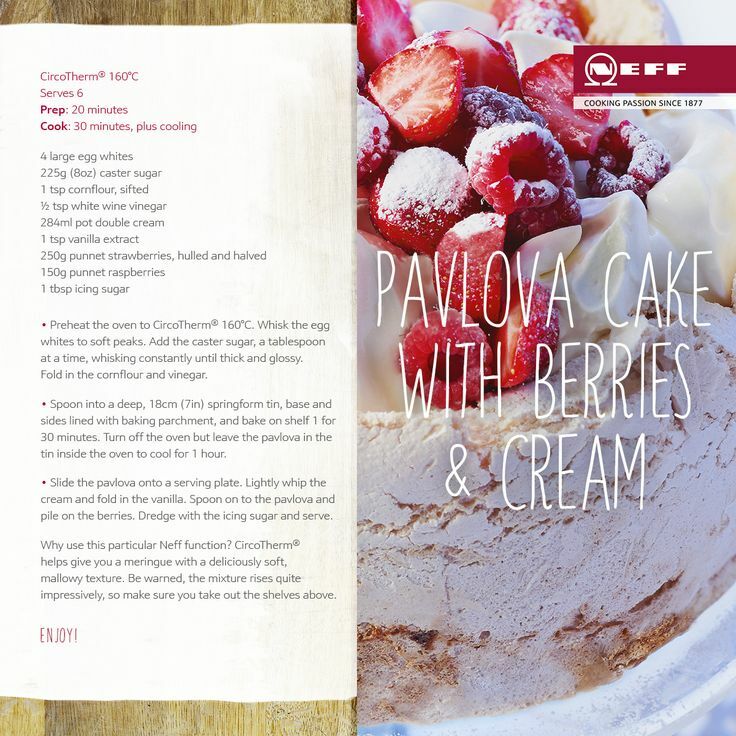 Take advantage of the strawberry season while it’s still around and serve up slices of this fluffy berry and meringue dessert, cooked to perfection in your Circo Therm oven. For something that’s totally refreshing and a little naughty, serve up this Gunner Cocktail. 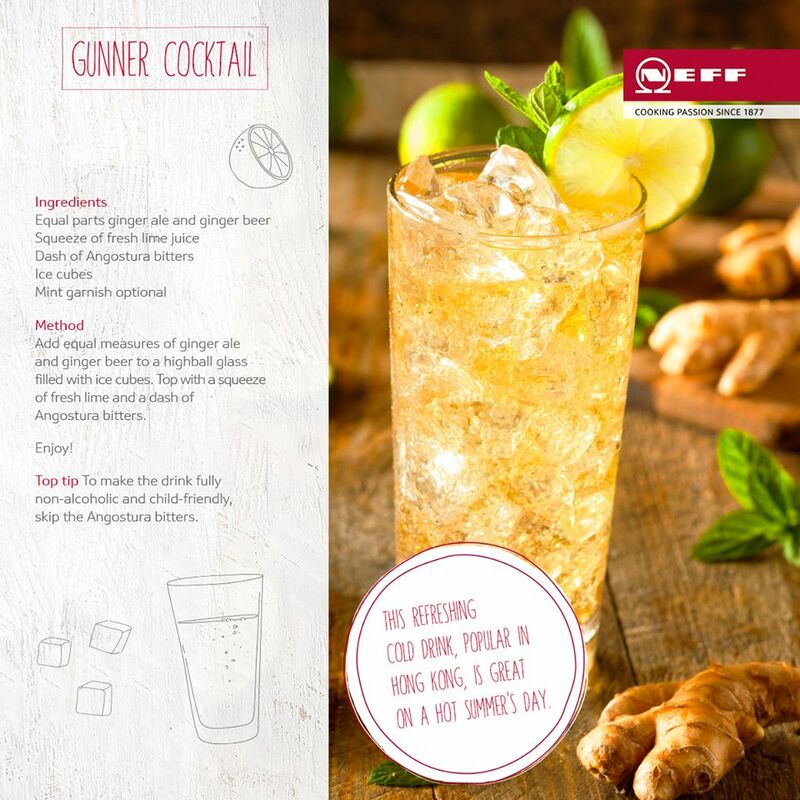 The ginger beer-based drink, popular in Hong Kong, features summery lime and mint and is perfect for a hot summer’s day. Download all of this weeks recipes by clicking the cards below. To find out more about the Neff appliances mentioned in today’s blog, visit us at one of our North West kitchen showrooms. We’ll be able to talk you through the whole range and show you just how they can be integrated into your brand new kitchen.